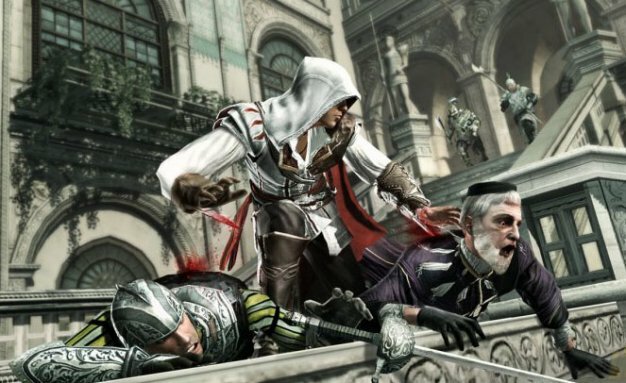 Composer Jesper Kyd will once again provide the aural accompaniment to your assassinations in Assassin’s Creed II. According to Ubisoft’s official release, the award-winning composer of Hitman and Assassin’s Creed fame will be taking the game’s music in “an adventurous new direction,” crafting an atmospheric original score chock full of “emotional depth and diversity.” Just the thing to inspire a young italian noble’s clandestine killing spree. “We created a unique musical identity for Assassin’s Creed II that reflects the character and story of Ezio,” said Kyd, whose murderous mood music will be released ahead of the game, “and elevated the music, both in terms of creativity and live production, to a whole new level.” The Assassin’s Creed II soundtrack will be available for digital download November 16.